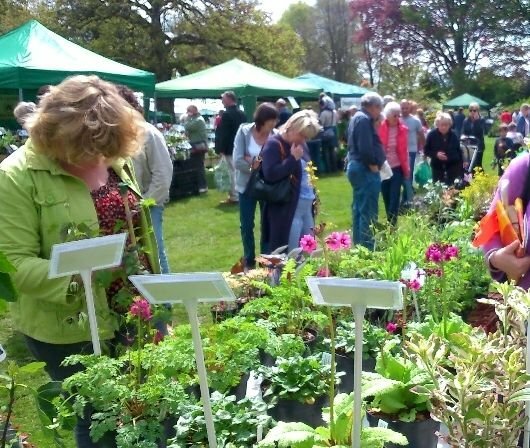 I shall be attending this Garden Fair which attracts 60 stallholders selling predominantly plants and plant accessories as well as some related arts and crafts: and now willow baskets! The Fair was started in 1992 at Rookley Manor and moved to Bishop's Waltham Palace Ruins in 2003. Due to its success and having 'outgrown' that venue, it now takes place at Wintershill Hall near Durley, a large mansion surrounded by magnificent gardens. The rhododendrons and azaleas will be in full bloom in May and provide a stunning backdrop for the Fair. Live Jazz Band; Refreshments and lunches. This event is a charity fundraiser in aid of St John's Eye Hospital Group, Jerusalem, (Charity Number: 1139527).